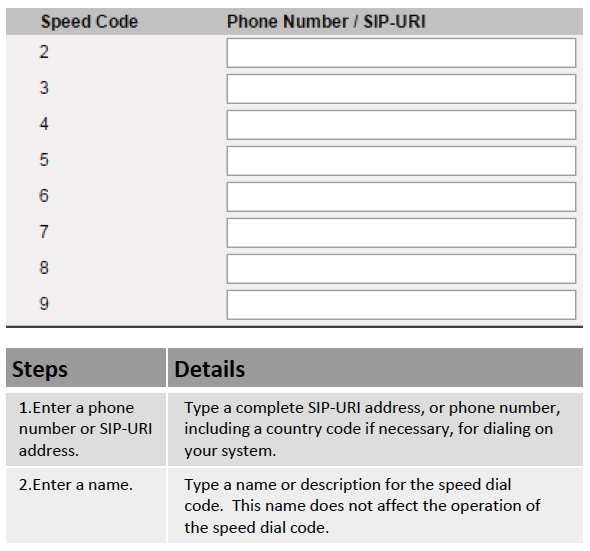 Speed Dial 8 allows you to associate single digit codes to frequently dialed phone numbers. You can dial a speed dial code instead of the full number to place calls. To use speed dial from the phone, dial the speed dial code number, and then press #.